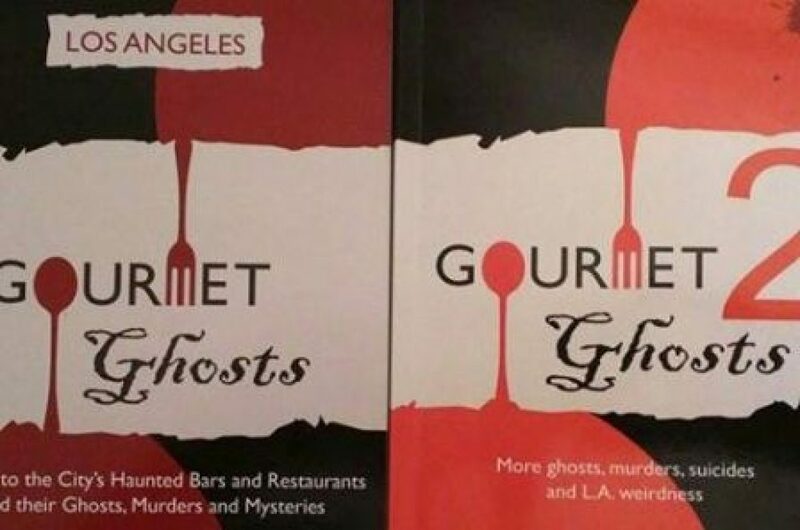 Gourmet Ghosts | The ghosts, murders, mysteries and weirdness of Los Angeles…. Every month I host the “True Crime Tuesdays” book club at the fantastic Last Bookstore in downtown L.A. – check out the “Events” tab on their site. Below is the fab “murder board” that Eric, the organizer, put together for us…. In my latest piece for the “Classic LA” edition of WhereLA magazine I point out a few scary noir places you can visit, and this ghostly piece was for ALTA magazine. The ALTA piece looked at the Original Spanish Kitchen, a restaurant that was suddenly closed and sat – cobwebs slowly forming on the fully-set tables – for decades. Gourmet Ghosts 2 talks about it and “‘Pearl’s Curse”. Keep up-to-date with news and “Daily Deaths” on Facebook Instagram and Twitter – but also check out the “Extra! Extra!” section here; lots of extra stories!